For the office spaces of Dräger Korea, D’art Design Seoul developed and realized an emotional communication track. Thus, the Corporate Identity is graphically brought to the inside in the form of a signage system, by means of corporate images, a history board, company logos or mood texts. Consistent in the blue corporate colour, this vibrant implementation welcomes all employees and visitors. 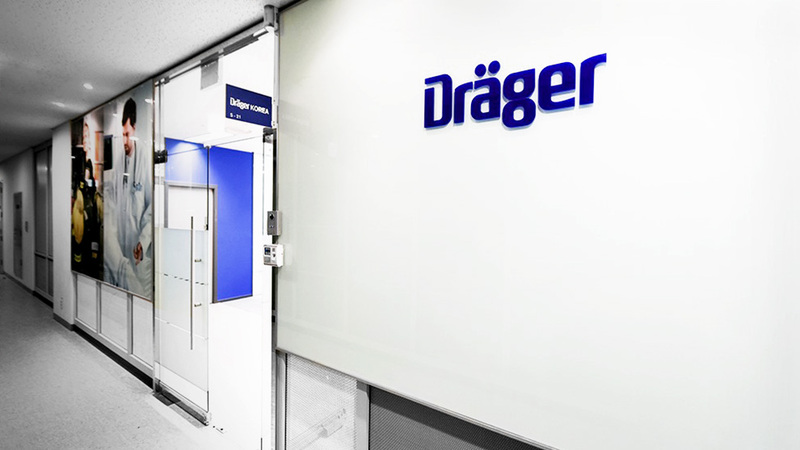 As a leading company in medical and safety technology founded in Lübeck, Germany, Dräger has been present in Seoul for more than 25 years.